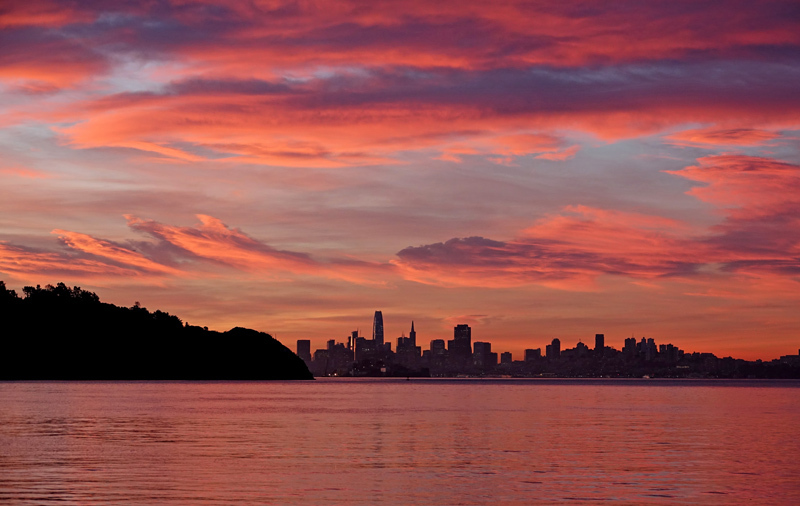 An early morning view of the San Francisco skyline from Tiburon, California. "My wife and I make the perfect point-and-shoot photography team. She points and I shoot!" Marvelous image! I like the inclusion of Angel Island in the composition and also the simplicity of having only two colors, effectively. Excellent job! A great photograph is absorbed by the eyes and stored in the heart. Thank you for your wonderful comments, Jens. Stunning colors in that sky, Tony. (And in the water). Love the dark silhouette skyline in contrast-just beautifully done. I could see this pasted on a whole long wall. Nice skyline view with very dramatic colour palette!